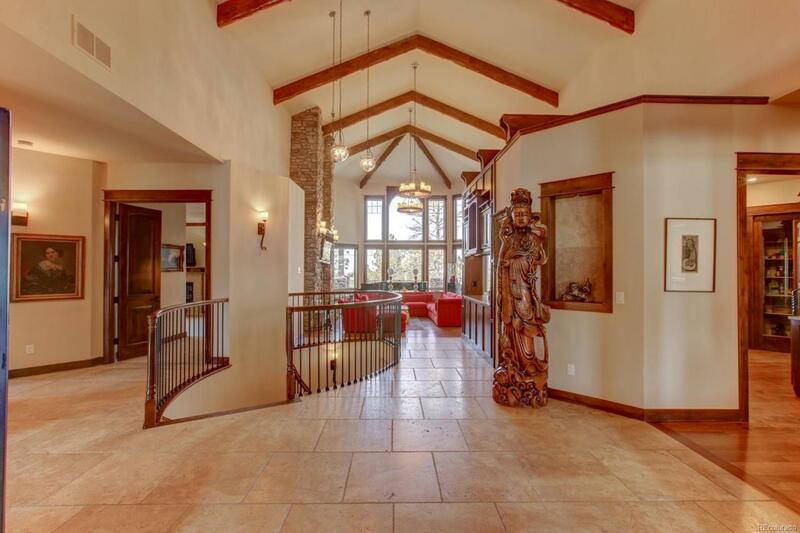 Very private one of a kind custom home with exquisite luxury appointments. The opulence is evident with a dramatic great room with floor to ceiling windows that has voluminous ceilings with peak to peak mountain views. Travertine stone floors. Built in SONOS speakers, audio cabinet, floor to ceiling rock hearth gas fireplace with hand scraped beamed vaulted ceilings and access to lighted cover deck. The kitchen is a chefs dream with top of the line appliances, beautiful veined slab granite, copper sinks and alder cabinets. 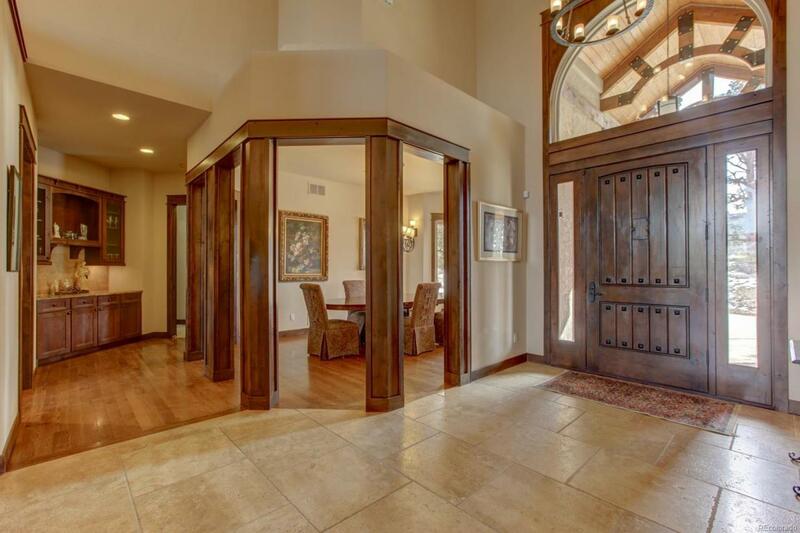 Grand main floor master retreat is a must see with a custom master bathroom and walkout deck. Custom built bar in walk-out lower level with 10" ceilings. 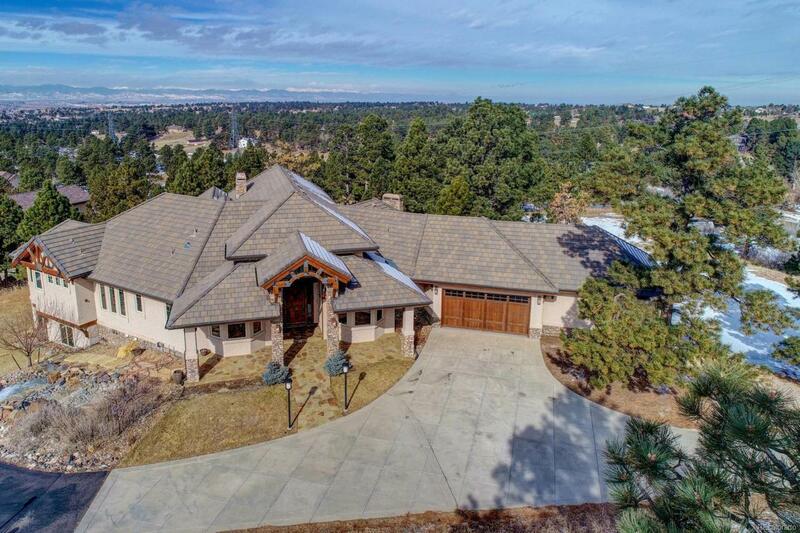 2.9 treed acres of forested pines near Parker Hospital and 25 minutes to DTC! 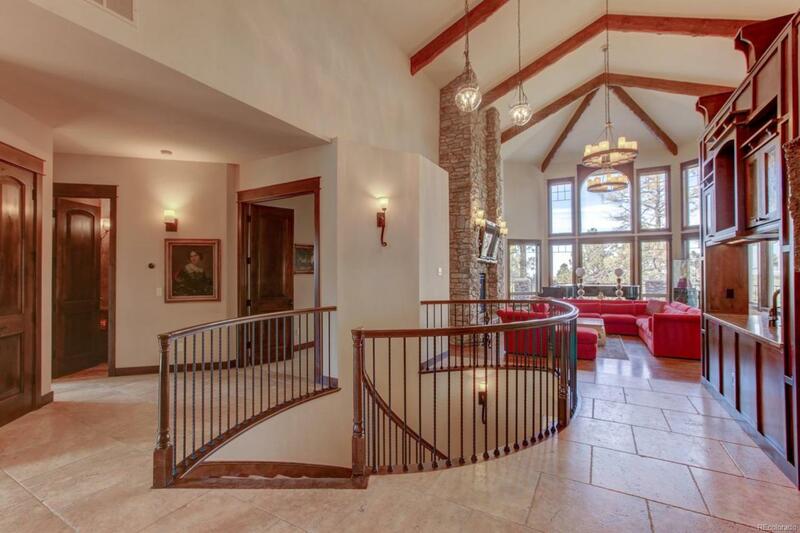 4 fireplaces throughout. 4 car garage. Stunning open concept architecture.